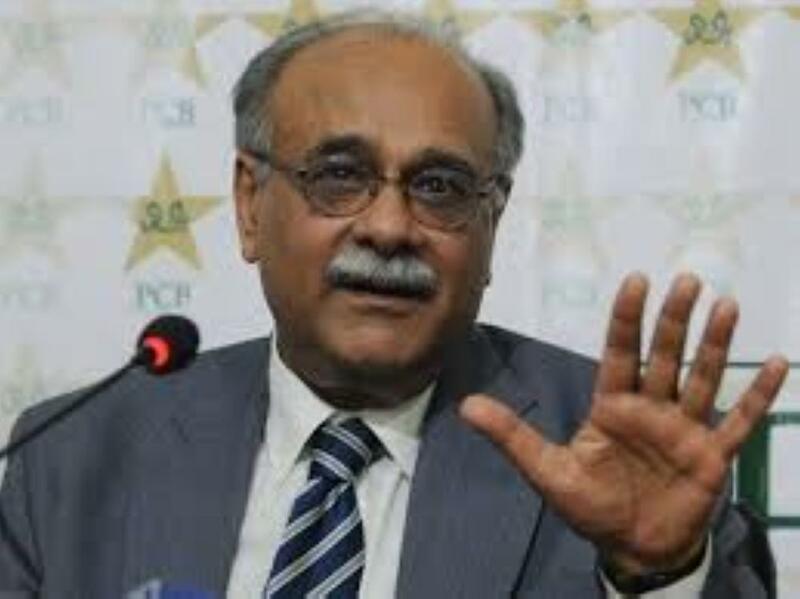 ISLAMABAD — Pakistan Cricket Board (PCB) chairman Najam Sethi, who has a history of clashes with new prime minister and former national captain Imran Khan, resigned from his post Monday and was swiftly replaced. Pakistani cricket enjoyed a golden period under Sethi's management, winning the ICC Champions Trophy and shooting up the global rankings to become the number one team in T20 Internationals, cricket's shortest format. But former cricket star Khan, whose party won power in a national election last month, fell out with Sethi during the previous ballot in 2013, when Sethi was in charge of an interim provincial government and Khan accused him of rigging the vote in favor of former Prime Minister Nawaz Sharif. Sethi was the caretaker chief minister of the vast Punjab province when Sharif won a landslide victory. Khan repeatedly alleged Sethi was behind rigging in 35 constituencies, prompting Sethi to file a defamation case. "I was waiting for the new Prime Minister to take oath before submitting my resignation as PCB Chairman, which I have done today," Sethi tweeted along with a copy of his resignation sent to Khan. Sethi, one of Pakistan's best known journalists, angered many of Khan's supporters for writing articles about the military's alleged role in propelling Khan to power. Khan denies colluding with Pakistan's powerful army, which has a history of dismissing and promoting politicians it favors. Khan immediately named Ehsan Mani, a former International Cricket Council chief, as Sethi's replacement. Mani brought vast and valuable experience to the job, the prime minister tweeted. Sethi was credited with helping bring about an end to Pakistan's lengthy isolation from international cricket, which began in 2009 when gunmen attacked a bus carrying the Sri Lanka team from their hotel to Lahore’s Gaddafi stadium, injuring six players and killing six security personnel and two civilians. The incident forced Pakistan to play their home matches in the United Arab Emirates and the country has since remained starved of international cricket at home, apart from a limited-over tour by Zimbabwe in 2015. His role in reviving the fortunes of the national team drew praise, and the country's influential Dawn newspaper published an editorial last month urging Khan not to interfere with the current cricketing set-up.